Evans Dixon, the parent company of SMSF specialist firm Dixon Advisory, was listed on the ASX yesterday after it raised nearly $170 million. 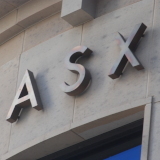 The newly listed company closed its first day of trading with a market capitalisation of $580.2 million – up 8.4 per cent from the listing price of $2.50 per share. There were 3,604 shareholders at the beginning of Monday, with the top 20 shareholders representing 51.95 per cent of the register. It was a lacklustre first day of trading, with only $136,231 worth of Evans Dixon shares changing hands. The company raised $169.5 million pursuant to the offer under its replacement prospectus, dated 5 April. Commercial law firm Minter Ellison advised Evans Dixon on the listing and IPO. Along with Dixon Advisory, Evans Dixon operates though its other subsidiaries Evans and Partners and Walsh and Company.